The Dattilam is a remarkable treatise from the earliest known period of organized, systematic writing on music in India. 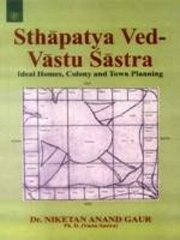 The work can be placed in the same period as the Natyasastra (the beginning of the Christian era) and it presents to us a well-developed sastra, composed at the end of a long tradition of analytic thinking on music. It is devoted to the description of gandharva, a sacred corpus of music, derived from the still more ancient sama, sacred Vedic form. Gandharva was also the parent of later forms from which our own present forms have descended. But the importance of the Dattilam is not a merely historical one. It articulates a framework and approach in musicology with which our understanding of musical forms is still impregnated. 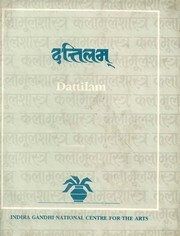 The present edition of the Dattilam contains the text with variant readings, and English translation facing the original and a commentary on the text to facilitate its comprehension. Dr. Mukund Lath (born in 1937). He is a historian teaching in the Department of History and Indian Culture in the University of Rajasthan, Jaipur. He has had an interest in music since his childhood and is a disciple of Pandit Jasraj. He is equally interested in the theory and history of Indian music and his A Study of Dattilam (1978) has been widely acclaimed among musicologists and scholars all over the world. His other works include an English translation of the Kalpasutra, the traditional biography of Tirthankara Mahavira and a study and translation of the Ardha-Kathanaka, published under the title Half A Tale. This is an autobiography in Hindi written by a Jain merchant and religious rebel in mid-17th century. Bibliographic Information: xviii+236p., Figures; Tables; Appendix; Bibliography; Index; 25cm.